The Online Writing Center offers the same individualized feedback as the on-ground Writing Center, just via Google Docs! NOTE: Submitting a paper to the Online Writing Center is a two-step process. First: Fill out a mandatory submission form. A tutor cannot review your paper without this form. Second: Submit your paper with Google Docs. How do I submit a paper with Google Docs? 1. Sign into your Brenau email account. Click the "Upload" button on the right of "Create" and upload the file from your computer. NOTE: Before uploading, click the pinwheel button on the top right and select "Upload Settings." Make sure "Convert uploaded files to Google Docs format" is selected or a tutor will not be able to make comments on the document. 4. In the top right, click "Share." 5. Type writingcenter@brenau.edu in the "Add People" box. 6. Your paper has been submitted. A notification will be sent to the Online Writing Center, and a tutor will review your essay. Once the tutor has completed their review, you will be sent an email notification. Click on the link in the email, and you will be directed back to your essay. 7. Please complete the feedback form the tutor will send following review of your essay. Your feedback ensures that our services to students are as effective as possible. Who uses the Online Writing Center? The Online Writing Center is a free service available for Brenau students across campuses. If you cannot make it to the on-ground Writing Center in Gainesville, submit your paper online! Our tutors read papers from across disciplines and are happy to help at any point in the writing process. When will I get my paper back? A tutor will return feedback within 48 hours. For papers longer than ten pages, a tutor will get back to you with an estimate on return time. How do I review feedback? The tutor will leave comments on the right side of the Google Doc, much like you find with Track Changes in Microsoft Word. 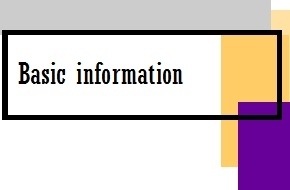 To see in-text changes, click File > See Revision History to see the tutor's changes highlighted in a different color. What if I want to submit my paper again? We'll be happy to read it! 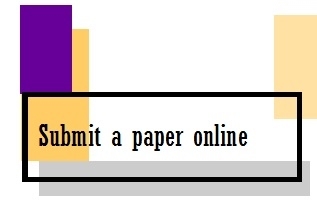 Just make sure to fill out a submission form each time you submit the paper. Who are the online tutors? Our online tutors are all Brenau alums with extensive experience in writing. All the tutors worked in the on-ground Writing Center during their time at Brenau. Meet your online tutors here. Why do I need to fill out so many forms? We need the submission form for record-keeping purposes. It also helps the tutor best to tailor your feedback; the more information you can give, the better the feedback will be. The evaluation form helps give us an idea of what we're doing well and what areas we can improve in. Is there anything you'd like to see done differently? Please let us know. We can't fix things if we don't know they're broken!